Calling all kids! 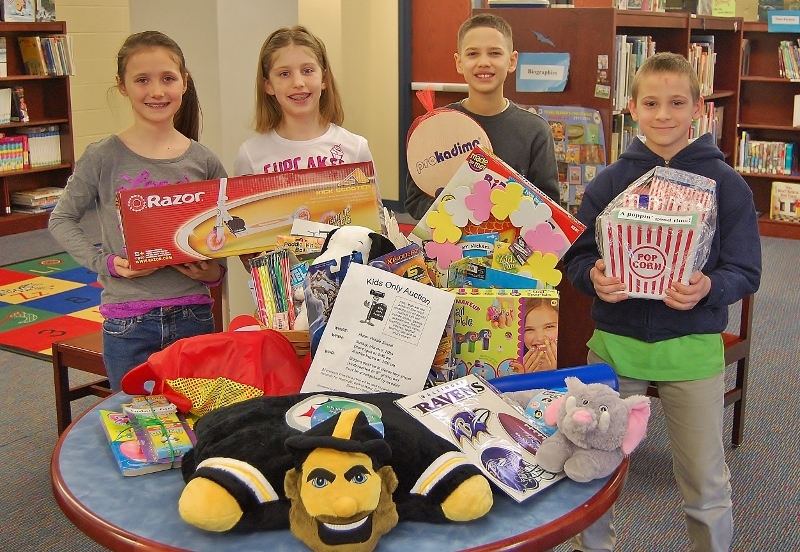 Penn Manor Education Foundation is hosting a Kids Only Auction, beginning at 3 p.m. Sunday, March 9, at Manor Middle School. Children may bid on a wide variety of auction lots, including books, art sets, sports team apparel, scooters, Star Wars gear, inflatable dinosaurs and other kid-friendly goodies. The event is open to all children through grade six, who must be accompanied by an adult. Doors open at 2:30 p.m., and refreshments will be available. Proceeds will benefit library programs at Hambright, Central Manor, Eshleman and Letort elementary schools. The auction is sponsored by the education foundation and Shaub Auction Services Group in Willow Street. From left, Central Manor fourth-graders Morgan Miller, Emily Riggs, Javien Vassor and Leif Heckaman pose with some of the items that will be up for auction Sunday.